These Jalapeño Cheddar Corn Muffins are a great way to jazz up dinner! 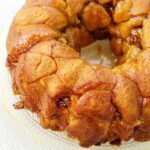 They come together in no time and are a great accompaniment to any meal! Does your family have a favorite dish that they request often? In the Love Bakes Good Cakes house, one of our favorites is cornbread. It’s so simple but satisfying! 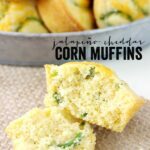 Usually, we enjoy my Southern Cornbread … but on occasion we like to kick things up a notch or two with these Jalapeño Cheddar Corn Muffins! Don’t let the sound of jalapeños scare you away – as long as you remove the seeds and membranes from the chile peppers, it cuts out most of the heat! 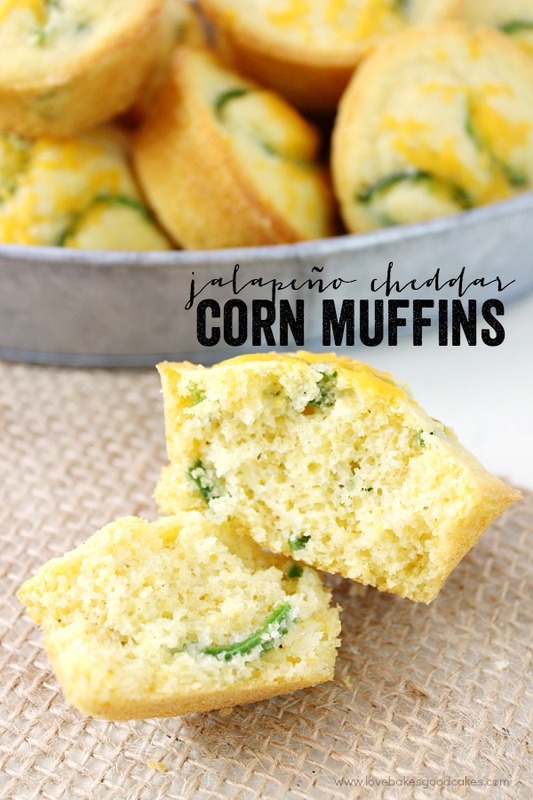 We enjoy these corn muffins with any meal, but we especially enjoy them with soup or grilled food! If you wanted to change these muffins up a bit, you could add frozen corn (about three-fourths of a cup to one full cup) to the batter (no need to thaw before baking) … or you could even add some roasted red pepper or drained and rinsed black beans! 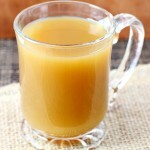 Since this recipe is pretty basic, it’s easy to adjust it to suit your family’s tastes! If you like things a bit spicier, you could substitute pepper jack cheese in place of the Cheddar cheese. Enjoy! Preheat oven to 400°F. Grease muffin pan or line with paper muffin liners. Set aside. In a large bowl, mix together cornmeal, flour, sugar, baking powder and salt. Add egg, butter and milk; stir gently to combine. Stir in the Cheddar cheese and jalapeño. Spoon batter into prepared muffin cups. Bake at 400°F for 15 to 20 minutes, or until a toothpick inserted into a muffin comes out clean. I might actually have to get some jalapenos, if a store around me is open today. 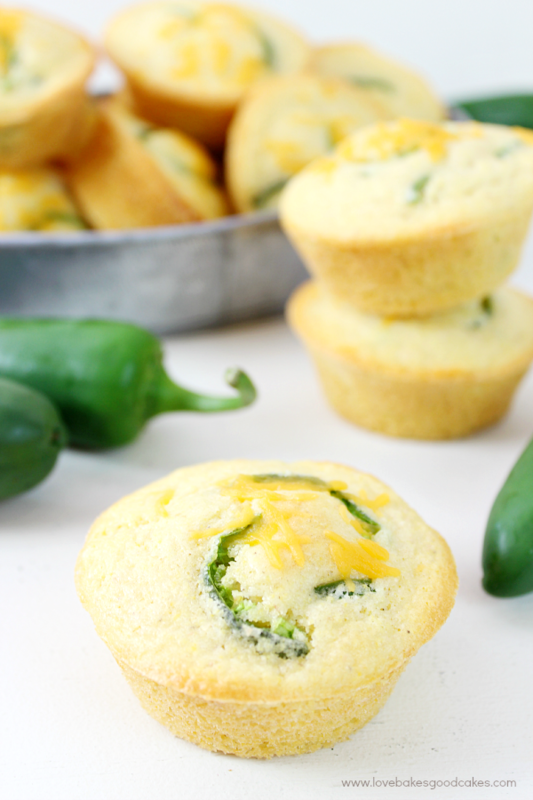 I was going to make corn muffins, but adding jalapenos to them sounds like the perfect pop for the fourth! To be honest we almost never eat cornbread, but I can see why your family requests these so often. I will have to give them a try. 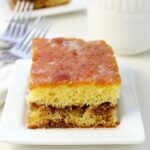 Cornbread is one of those foods I really love, but always forget about. When we have it we love it! 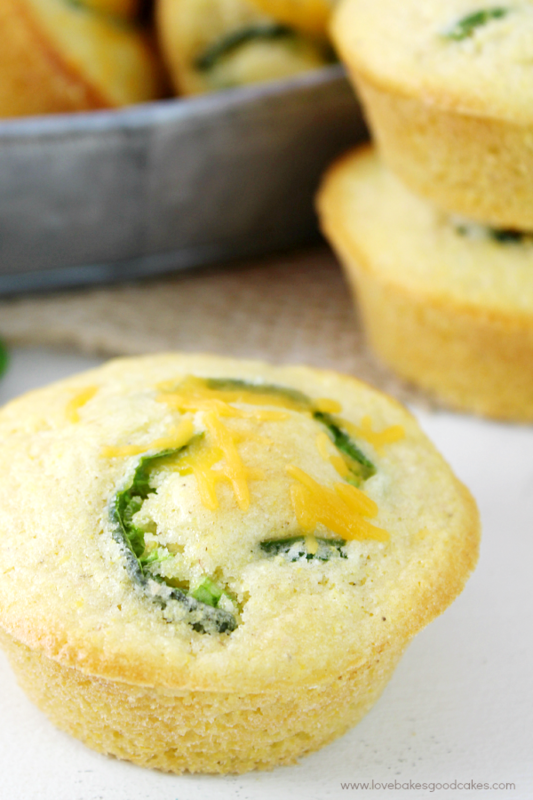 Cornbread is always a hit in my house, and I love this cheesy-jalapeno version! 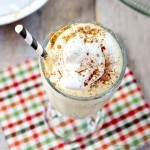 These sounds like the perfect way to jazz up a dinner! And add a little kick to it!